After the tragic death of her husband, Aven Norgaard leaves Norway to start a new life in the rugged hills of nineteenth-century Appalachia. Upon arrival, she finds herself living with her late husband’s cousins—three brothers who make a living by brewing hard cider on their farm. All the brothers are taken by her beauty, but she makes a special connection with Thor who is deaf and faces immense personal struggles. 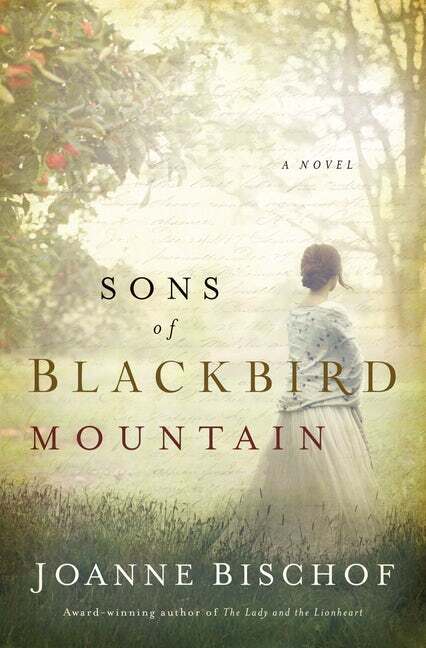 Sons of Blackbird Mountain is a portrait of grace in a world where the broken may find new life through the healing mercy of love. 1. New beginnings are everywhere in the story. Which new beginning is most relatable to your own life? 2. Aven came to the farm believing that Thor, Jorgan, and Haakon were children. Would you say this was an accidental miscommunication or an intentional misinforming on Dorothe’s part? If Dorothe was matchmaking, what do you think her motives were and do you believe she had a particular brother in mind for Aven? 3. Each of the Norgaard men has much in common with his brothers, yet each is distinct in his own way. What similarities do you see in them? What differences? What role do you think their birth order and upbringing served in the way their personalities developed? 4. Aven first learns that Thor is Deaf while we are in her point of view. If we were in Thor’s head during that scene, what do you think he might have been thinking? Most Deaf Americans in the 1800s lived in rural areas, separated by distance, with little communication with people around them. What do you think life was like for a person such as Thor in these days? 5. By looking at Aven’s history together, how was she shaped by her past? Her mother taught her sewing and love, her time at the workhouse taught her determination and compassion, while Farfar Øberg showed her lessons of baking and kindness. How did each of these elements come to play in the molding of who she was in this story? 6. As a freedwoman working for wages, why do you think Ida chose to live in a room off of the kitchen instead of living with her blood-relatives, Cora and the children? 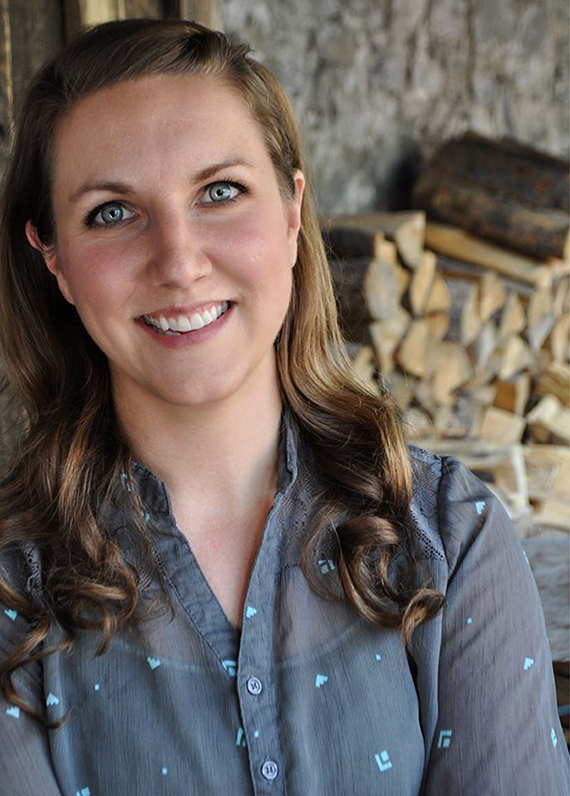 What do you think were her reasons for becoming such an integrated part of the Norgaard family? Why do you think the Norgaards cherished her so, seeing her less as a housekeeper and more as a member of the family? 7. When Aven offers the brothers her twenty Kroner, she is giving her most costly possession. What does this say about her character? In what ways did Farfar Øberg lead by example when he first pressed it into her hand? Has there been a time in your life when you received an act of kindness that breathed hope into your heart? 8. The 1870s were known as the dark ages for the Deaf due to the frequent banning of Sign in Deaf schools. Young students such as Thor who were unsuccessful with Oralism were known as “oral failures.” What do you think a label such as this would mean to a person? In what ways did Thor overcome the idea of failure? How did reading his story change your viewpoint on the Deaf? If you are Deaf, what sorts of connections did you make with Thor? Did this book offer you new insights into the thoughts and behaviors of hearing people? 9. Why did the Norgaard brothers value their Viking heritage as they did? Having been raised primarily by their father, Jarle, what role did this serve in their reverence for the Viking tales of old? How did such a heritage shape them as men living in the wilds of Appalachia? 10. What sort of lessons do you think await Haakon at sea? Do you foresee him maturing during his time aboard ship? How do you see his character being challenged? 11. What’s a book club chat without a wee bit of fun? If you were sitting in that church in Eagle Rock, Virginia, and you noticed the Norgaard men come in, what is the first thing you would whisper to the woman beside you? 12. With the second Blackbird Mountain novel just around the bend, what sort of lessons, changes, or adventures do you imagine might await the cast? Aven peered down at the letter again, noted the address written in Aunt Dorothe’s hand, then looked back to the wooden sign that was staked into the ground. The location matched, but with the Virginia summer sun overhead and the shores of Norway but a memory, she was suddenly having a hard time putting one foot in front of the other. A humble lane loomed— both ahead and behind. Yet if she were to walk on, it would be away from the woodlands she’d spent the morning traversing and into the shade of countless orchard trees. Apple, judging by the fruit dangling from the gnarled branches. A sweet tang hung in the hot air. Aven drew in a slow breath, bent nearer to the sign, and fingered the rough- hewn letters. Norgaard. Aye, then. ’Twas the place. The land where Dorothe’s great- nephews roamed. Free and wild the boys were, or so the stories declared. Aven minded not. Having lived within the workhouse, she’d had to watch from afar as many of the orphans there faded away. The change in circumstance now— in freedom— had her eager to find the house. The family. Most especially, the children. At a beating on the path, she looked up to see a hound bounding near. The dog’s tail wagged as the animal sniffed around Aven’s shoes. The banging tail struck her leg, and Aven reached down to pet the glossy brown head that lifted in greeting. The dog gave a few licks, then trotted back along the path as if to show her the way. As it surely knew more of these rolling woodlands than she, Aven clutched up her travel- worn carpetbag. She walked on, brushing dust from her black mourning gown as she did. A dress no longer needed since the two years of mourning had ended before she’d even set foot on this place called Blackbird Mountain. When a stick crunched up ahead, she shielded her eyes. Heavy were the shadows in the grove as afternoon pushed into evening, brighter still the sun that pierced through. Feeling like a trespasser, Aven strode near enough to call a hello. The man didn’t turn. It wasn’t until her shadow fell beside him that he glanced her way. Slowly, he rose and, using a thick hand, pushed back unkempt hair that was as dark as the earth beneath his boots. It hung just past his shoulders where it twisted haphazardly, no cord to bind it in sight. His lips parted. Eyes an unsettling mix of sorrow and surprise. A look so astute that it distracted even from the pleasing lines of his face. He spoke no greeting. Offered nothing more than that silent, disarming appeal as if the world were an unfair place for them both. Aven struggled for her voice. “G’day, sir. Might you . . . might you be able to tell me where Dorothe Norgaard could be found?” Though Aven had been a Norgaard for four years now, the Norwegian name never sounded quite right in her Irish brogue. The man glanced to the carpetbag she white- knuckled, then to her dusty shoes and up. He ran the back of his hand against his cropped beard. More uneasy, Aven adjusted her grip on the leather handle, reminding herself that she had read the sign right. The Norgaard farm. This had to be it. She’d traveled too far and too long to be in the wrong spot. Seeming displeased, the man shoved back the sleeve cuffs of his plaid shirt, and finally he thumbed over his shoulder. Apparently the lad hadn’t the gift of the gab. Aye. She should be moving on . . . that way, it seemed. She gave a quiet thank- you and he nodded, his brown- eyed gaze on her as she passed by. ’Twas but a few steps ahead that Aven halted. This man had the same brow as her Benn. One bearing the noble angles of Norse blood. Though the stranger’s hair was a far cry from Benn’s pale locks, she saw something in his manner. That same strapping stance and pensive look. “Might you be one of the Norgaards?” She hoped her accent wasn’t too thick for him. It seemed Americans had a hard time with her dialect. Perhaps this was an uncle to the children. But why Dorothe didn’t mention an uncle . . .
“So . . .” Aven pointed past him, and when a strand of rust- colored hair whipped into her face, she twisted it away. “I’m to walk this way?” He dipped his head once more, which had her smiling again. “I thank you, Mr. Norgaard.” Clutching the handle of her carpetbag tightly, she continued down the lane, feeling his eyes on her. Strange bloke. She walked on another few moments, then she spotted a large, red house up ahead. Faded and weather- beaten, it looked more like a giant barn than a home, but with its porch swing and laundry line, ’twas clearly the latter. Aven glanced back to see she was being followed. From a fair distance, she’d give him that. But it still had her eyeing the man with every few trees they passed until the orchard opened up into a vast yard. Thick, twisted branches giving way to sheds and outbuildings. Two of the structures were massive, a distant one was charred, and around many sat stacks upon stacks of wooden crates and more metal buckets than she’d ever seen in one farmyard. Her companion stopped and folded his arms over his chest. Hesitantly, Aven continued up the path the same moment a second man emerged from the house. Though as tall as the first, this one’s strength was wiry. His hair was a few shades lighter but just as long, judging by the way it was pulled back and bound. Heavy boots stomped down the steps. Another Norgaard? She glanced around for a sight of the children— but saw nary a toy about, and the clothing pinned to the line was by no means pint- sized. Aven regarded the stranger on the porch and resisted the urge to touch her mother’s delicate chain around her neck, as she often did when nervous. “Hello, sir.” She stepped closer and extended a hand, which seemed very small when wrapped in his own. “I’m Aven. I was married to Benn.” That seemed odd to blurt out, but she didn’t know how many of these introductions were to take place. “Ah.” He studied her a moment. “A pleasure to finally meet you, ma’am.” He cleared his throat and gave his name. Jorgan. She knew that name from Aunt Dorothe’s many letters. But Jorgan was to be a wee lad. And this man was no such thing. Aven scrutinized him. Dorothe had certainly not portrayed the sons as men. Before she could make sense of that, another one stepped from the house. Though the third brother’s charms had been described in great detail, his great-aunt’s praises didn’t do justice for who could only be a very grown- up Haakon. The young man’s brilliant blue eyes took her in, and though he was clean shaven, his brawn dashed any lingering notion of the Norgaard offspring being children. Even as panic rose, Jorgan spoke. Pear in hand, Haakon cut a slice and used the flat of the knife to raise it to his mouth. Nothing but mischief in that striking face. Aven swallowed hard. How had she been so mistaken? She searched her memory of Dorothe’s letters. Time and again the Norgaard males had been depicted as anything but adults. Boys, Dorothe had called them. Going on to hint at their adventures and mischief, their rowdy ways and their need to be guided. Even chastised. Most often in Haakon’s case. The same Haakon who was smiling down at Aven as if he hadn’t seen the inside of a woodshed for a good long while. Sons of whom, she couldn’t remember. Dorothe wrote little of the boys’ deceased parents. Yet dashed was the image of three children needing Aven to help care for them. Mother them. Aye, Aunt Dorothe had been misleading indeed. Growing stronger was the need to speak with the woman and make some sense of this. “Yes’m. I’m the oldest,” Jorgan said. “Best just to call us by our first names or you’ll be sayin’ ‘Mr. Norgaard’ an awful lot. It seems you met Thor. He’s in the middle.” He pointed past Aven to where the dark- haired man still stood a few paces back. The one who looked strong as an ox and who had yet to take his focus off of her. Thorald. As was written in the letters. Amid pen and paper, it seemed he held a tender spot in his great- aunt’s heart, but not for a hundred quid would Aven have put the name and person together. “Thank you,” Aven said softly. She lowered her luggage to the ground, unsure of what to say in this instance. Her husband— their cousin— gone. And now she was here in America. The dog sniffed at her shoes, and Haakon snapped his fingers. “Where did she go?” Aven’s skin flushed. Mourning dress feeling much too heavy and tight. She needed to sit down but there was nothing other than the dirt, and that she lowered herself to, caring for neither dress nor stockings. Suddenly feeling very small, she blinked up at the clear, blue sky that was a blatant reminder of just how far she was from Norway. Even Ireland. She was here in Virginia. A place called Blackbird Mountain. And there was no Aunt Dorothe. Though the woman wasn’t family by blood and though their letters had formed but a modest friendship, Benn’s great- aunt had become all Aven had left of family. “What do I do?” she whispered to herself. Aven drew in a shaky breath and looked up at his face. “What do I do?” she asked again. “You . . . you just put your arm on mine.” He moved to help her. Jorgan led her up a few steps, then across a wide porch. Brows tipped up in confusion, the youngest brother held the door open. Jorgan led her into the kitchen where he pulled out a chair at the table and helped her into it. From the pantry stepped a woman with skin as dark as cinnamon sticks. With a gentle smile, the woman brought Aven a cup of coffee and a slice of spiced bread. Aven touched neither. Instead, she clasped her hands between her knees to keep them from shaking. “I mean to say she’s taking a turn, Haakon. ’Bout to faint.” The cool knuckles of the woman’s hand pressed to the side of Aven’s temple, and Aven nearly closed her eyes. “Are you alright?” Jorgan asked gently. “You’re still welcome here,” Jorgan said, sounding sincere. “But we don’t have anywhere to put her,” Haakon countered, none too quietly. No one moved. All still as the steamy air. A throb pulsing in her chest, Aven placed a hand there. She drew in a deep breath through aching lungs. ’Twas no time to despair. Yet the very tremor rose as a flood. Her vision blurred, and someone spoke words she didn’t hear. The porch creaked, followed by heavy steps. A moment later someone lowered a glass of water in front of her. She peered up to see Thor set it in place. Water dripped down the side of the glass as if it had just been filled from a spring. When she didn’t reach for it, he nudged it closer, then dried his hand on the side of his pants. With a slight limp, the housekeeper stepped near and placed a tender hand on Aven’s own. The woman’s face was soft with concern. A sensitivity that pressed the ache of tears to Aven’s eyes. The woman bid the men to leave them for a few minutes. When they strode out, the housekeeper squeezed her hand again. “Now, don’t you fret none. We gonna see that you’s just fine. Better’n fine. I promise ya. I been keepin’ house here for nigh unto thirty years. The boys used to call me Mammy, but now’s they grown, they call me Miss Ida. I’ll take good care of you.” A few stray coils of gray hair framed her glistening forehead, and the eyes studying Aven were filled with such kindness that Aven felt safety edge around the uncertainties. “Now.” Miss Ida motioned deeper into the house, one that seemed to groan with the same emptiness that hollowed Aven from within. Yet this house was far, far away from the life she’d known, and perhaps this time— in this place— there might be safety and rest. Even a home. Had Dorothe not written of that very thing? The scripture she’d shared had coaxed Aven away from the shadows of the past and onto the gangway of that ship. With a ginger grip Miss Ida led them both to stand. She plucked up the carpetbag as if it weighed nothing at all for her spindly frame.